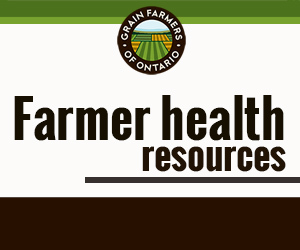 Assess major initiatives on precision agri-food (PAF) in other global jurisdictions including emerging standards for inter-operability and research data sharing to help determine niche opportunities for Ontario or collaborative opportunities with other groups. Determine the expected rate of growth in Big Data for precision agriculture for research purposes and the characterization of the data streams. Evaluate protocols by which data can be stored, shared etc. such that they are compatible with security and global data standards. Assess the hardware and software capacity resources available now and determine what additional resources are needed to address the need identified in above objectives versus the ability to leverage resources that already exist. Develop a deeper understanding of the leading groups in precision agriculture followed by the establishment of specific pilot projects to discover an effective, scalable introduction of PAF in Ontario for the benefit of the agri-food user community. The understanding of where Ontario’s current and future use of precision agri-food technology lies will help to create a strategy and vision for the sector and allow the creation of a cooperative and trusted environment through which we can more efficiently pursue and implement precision agri-technology (PAT) for all agri-food stakeholders. The development of a common vision to pull together the various groups and magnifying the importance of developing mutually beneficial ‘systems/infrastructure’ for the benefit of all key stakeholder groups (academia, government and industry) will allow all groups to have a role in forwarding the provincial agenda. The development of lead ‘pilot’ projects that will address specific use cases within the ag-sub-sectors that will lead to the development of a hybrid data collection platform based on stakeholder need and more affordable in deployment of technology. A key goal of the project is to facilitate the infrastructure/capacity building and collaborations in order to accelerate Ontario’s adoption and development of PAT which will lead to efficiencies, improved management decisions, transparency, traceability and a likelihood of reduced costs (environmental and otherwise) across the whole ag-sector. The agri-food industry is under intense pressure to grow more, manage risk and lower costs. As a result, there is a relentless search for operational efficiencies that can be gained through application of precision agri-food technologies (PATs). PATs can take many forms but broadly speaking they are technologies that utilize data to inform decisions in ways previously not possible. They result from unprecedented convergence between agricultural and food sciences, including genomics and information technology. As a result of the rapid reduction in the cost of sensors, agriculture and food is now able to collect unprecedented quantities of data through environmental and phenotypic measurements often made in real-time. Agri-food enterprises and information technology companies will be working together to bring many innovative products and services to the agri-food value chain. Ontario has the potential to be a major player in this global market. To achieve its potential, the Ontario research and agri-food user communities need to be organized and driven to achieve. This application is the first vital step in a multi-year process to bring about systematic organization and collaboration that optimizes the use of resources to enable PATs to flourish in Ontario. This project aimed to examine the task of compiling and connecting complex Big Data for the agri-food sector. It was identified that there was a need to engage competent hardware/software/networking experts to assess and design of a database platform. The platform is a combination of the hard and soft infrastructure that will be needed and connectivity to the potential users. The long term goal is to develop methods to manage data and support its function as a tool that can enable the users of the information to make better decisions. 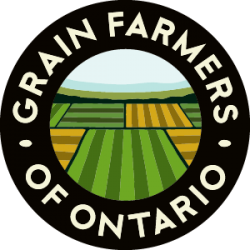 The optimal long term result would be to enable Ontario researchers, industry and government to have access to precision agri-food technology derived data from which they can create decision support tools that will benefit all parts of the agri-food system – input suppliers, farmers, packers/handlers, distributors/wholesalers, retailers/merchandisers and consumers. The primary benefit is expected to accrue to farmers, that is, the production level of the supply chain. Precision agriculture is not a new concept and it is not new to Ontario, but this study shows how it is progressing, from precision agriculture 1.0 to 2.0 and, in the future, to 3.0, led by a variety of technology regions in Europe: Holland – general precision agriculture; Belgium – livestock precision agriculture; Germany – smart agriculture machinery; and in California, with irrigation, autonomous vehicles, and UAVs, just to mention a few. A great deal of big data research is at the discovery stage, understanding key research and evaluating concepts within a lab or controlled research environment. Virtually all of the academic institutions surveyed in this study are engaged in big data initiatives to some degree. Government agencies around the world, including Canada, are also key research leaders in some areas of precision agriculture and big data applications. The precision agri-food-related research and IT service centres/groups interviewed showed a wide range of IT and communications capacity as well as a wide range of capability and maturity. As Ontario moves to develop a big data precision agri-food research initiative it will need to develop or adopt a set of standards that address its research and operational requirements. There are some existing terminology and procedure-based standards that are in place, but they are not precision agri-food centric. Through discussions with the Ag Data Transparency Evaluator program (ADTE) members it was readily acknowledged there would be value in adopting the ADTE in Canada, thus establishing a North American wide (Canada and the US) standard for data principles through a common tool that evaluates end user agreements with Agricultural Technology Providers, and will result in reduced risk (or the perception of risk) for farmers interested in pursuing the use of Precision Agricultural Technologies that collect farm data. A number of commodity sectors identified the need for an on-farm data repository. In discussions with key the Agriculture Data Coalition (ADC) members, the potential for collaboration with an Ontario or Canadian organization interested in providing ag data repository and integration services was identified as mutually beneficial. Detailed scoping for three pilot projects were completed for three major commodity sectors. Numerous other pilot projects were scoped and readied for further development while topics for project consideration continued to evolve. The identification and execution of five pilot projects across two commodity groups and nine participating stakeholders. 2 pilot projects in dairy and 3 projects in poultry were undertaken and allowed the data collected daily to be used more effectively and has the potential to be used to make better management decisions. All pilot projects engaged on during Phase Three have the potential for direct benefit to industry if functionality is expanded, optimized and implemented at full scale. Future projects could include soil health as well as plant and animal health. The vision of Canadian Precision Agri-Food (CPAF) was developed, a Canada-wide common infrastructure evolved from the OPAF vision of developing a platform for secure data collaboration amongst all members of the Agri-Food value chain, addressing issues of data standards, data interoperability, data security, seamless sharing of data and information between stakeholders in complex environments, and providing an ecosystem for open innovation. The creation of a Canadian Internet of Things (IoT) collaboration platform was further developed through Phase 3. It will be built on an open source development environment (FIWARE) and will be hosted on a secure, scalable, flexible, Canadian cloud infrastructure.